Born: 29th October 1946 in London, England. 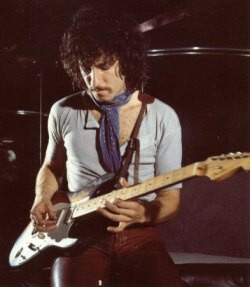 Influential UK blues guitarist and founder of Peter Green's Fleetwood Mac (left the band in 1970, whence it became fully-fledged as Fleetwood Mac) and The Splinter Group (left in 2003). Released one single under the name Peter Greenbaum with The Bluesbreakers in 1967 without John Mayall.